MILLS - SWINDON, THIS IS SWINDON. Caleb Robert Mills was born Stepney, Middlesex in 1832. 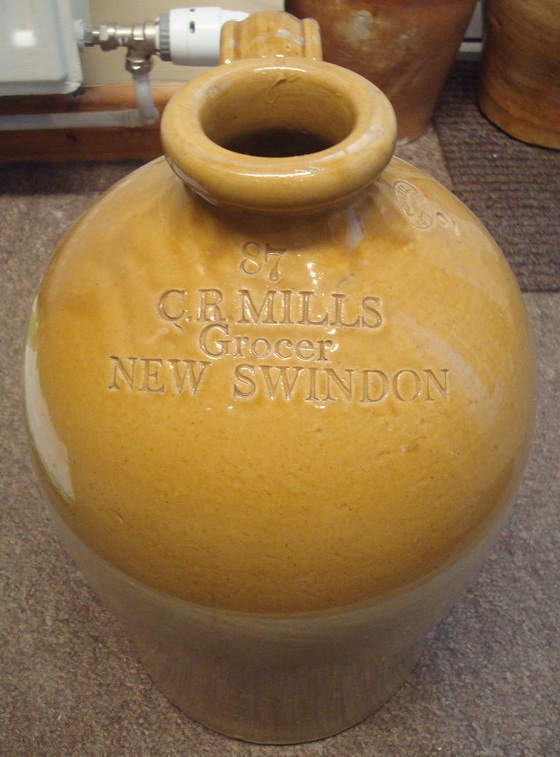 His father, Robert Herbert Mills, was a grocer. In 1851 Caleb was assisting in his father's shop in Cockham, Berkshire. Caleb married Sarah Elizabeth Eldridge of Burford in 1857 and by 1861 they were running their own grocery shop at No 9 and later No 11 High Street, New Swindon. The location was in the heart of the newly built Railway Village which housed the workers of the GWR. This address is now Emlyn Square, Swindon. The venture in New Swindon was very short and on the 21st Nov 1862 the business was declared bankrupt in the London Gazette with his own father listed as a creditor.